The Carmen 10 Light Ceiling Light Pendant is in a Silver finish with drapes of super-fine chains. 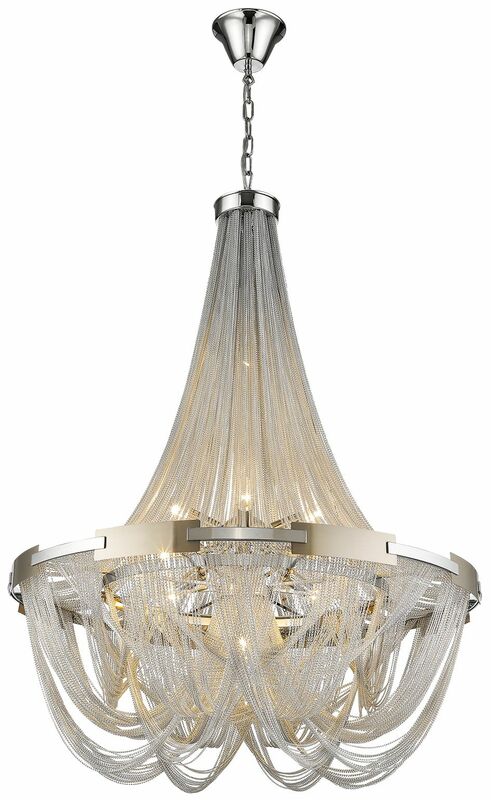 The Carmen 10 Light Ceiling Light Is A Modern Chandelier In A Silver Finish. The Carmen Is Dressed With Delicate Drapes Of Super-Fine Chains, Creating A Beautifully Shaped, Eye Catching Focal Point.